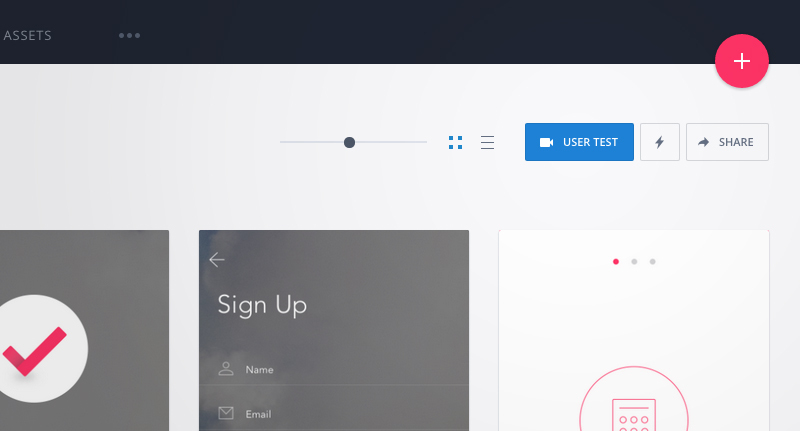 Introducing free, unlimited mobile user testing (beta) in InVision! We’re excited to introduce the first in a series of usability testing features in InVision—mobile user testing (beta). Now, you can have users test your prototypes directly from their iPhone while recording their interactions, seeing their faces, and hearing their voices. Plus, it’s absolutely free and unlimited—forever! When your mobile prototypes are ready for usability testing, simply click the User Test button in your project to text your user a link. Their camera and microphone will be on, so you can see and hear your user’s feedback. To get started with the InVision Viewer app, you’ll need to download the InVision Viewer app from the App Store. If you’ve received a User Testing link, you should automatically be prompted to download the app if it isn’t already installed. After installing, you’ll need to login if you’re a designer installing the app manually. Otherwise, you’ll be taken to the prototype you’ve been asked to test if you followed a User Testing link. Note: While we’re in beta, we strongly recommend testers only use iPhone 6 / 6+. You can also download this app yourself and have access to all your mobile projects and preview Apple Watch prototypes on your iPhone, making previewing and sharing from your device better than ever. This is just the first of both a larger mobile app push and user testing suite we’ll be launching in the next few months, so stay tuned! Want to read more about using the InVision Viewer app? Please take a look at our support document.